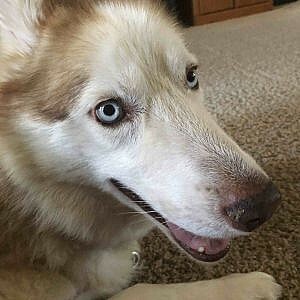 Written by Jordan Lucero on October 18th, 2018. Happy Splatoween! Splatoon 2 is getting a bunch of new Halloween content. First, a new Splatfest will kick off Friday, October 19th at 3PM PT, and during that time the plaza will be fitted with some Halloween decorations. Choose between “Team Trick” with Pearl or “Team Treat” with Marina! The Splatfest will end Sunday, October 21st at 3PM PT, giving you 48 hours of this event. 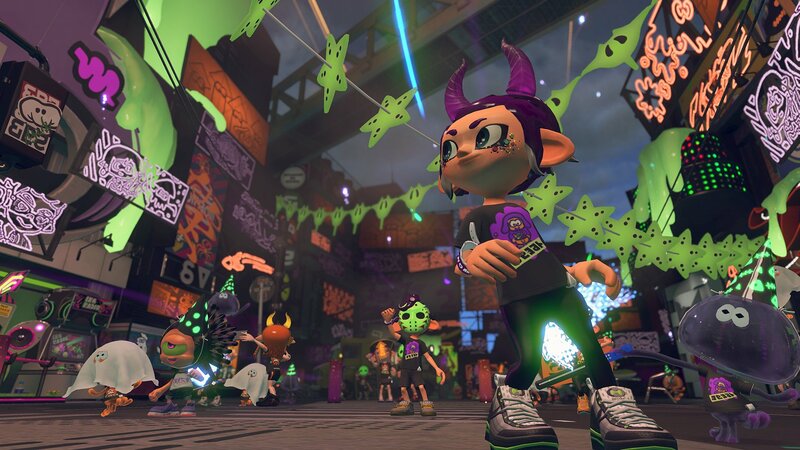 Everything is extra spooky this time, including the special Splatfest stage, Shifty Station. Follow the instructions in the article to receive your gear. 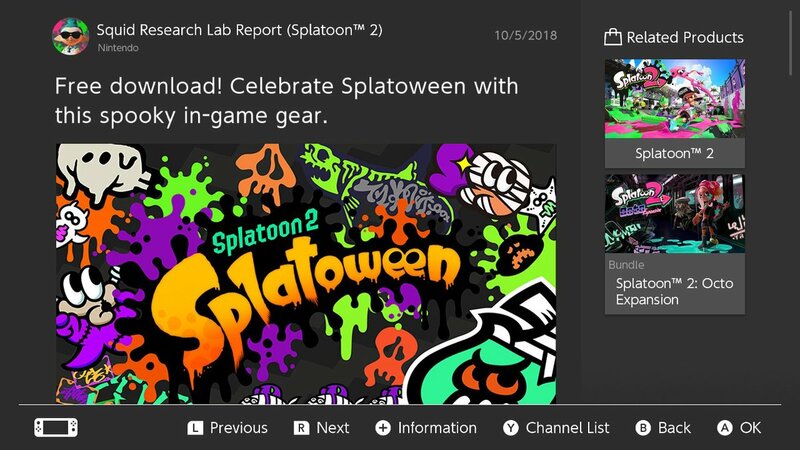 After December, content updates like these for Splatoon 2 will unfortunately stop, but we will at least continue getting Splatfests. Are you excited for Splatoween? What team are you on? Are you going to start playing Splatoon 2 again? Let us know below in the comments.